If you’re tired of touching that touchscreen, try hitting your phone and making some noise. Researchers in South Korea have developed a sound-based method of controlling smartphones, and connected appliances, by tapping them. For instance, tapping the phone on a steering wheel while driving could call up the phone’s map or navigation apps. Tapping the back of the phone with a finger when going to bed could turn off connected household lights, or activate an alarm clock in the phone. 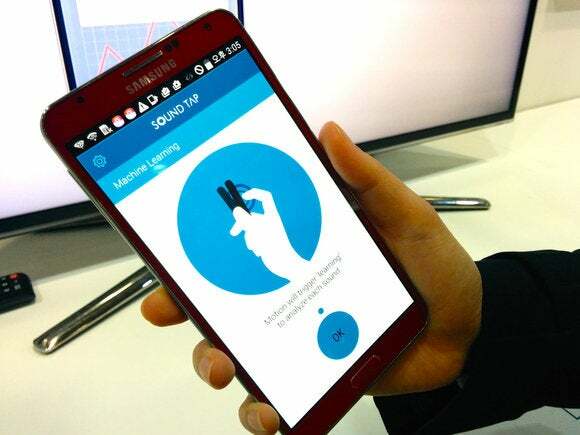 “We wanted to create a system that would let you easily control a smartphone using one hand only,” said Park Min-ji, a masters student in IT design at Seoul National University of Science and Technology. Park and colleagues want to improve the app so that it performs better in very noisy environments. Samsung Electronics provided software support for the project through an industry-university program, and has shown interest in developing Sound Tap, according to Park. The know-how in the app might also work with Samsung Flow, a technology that lets users shift through different mobile devices while performing an activity, for instance http://www.computerworld.com/article/2846658/samsungs-project-beyond-3d-camera-takes-virtual-reality-to-a-new-level.html, she said.